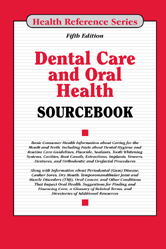 Provides basic consumer health information about dental hygiene, preventive care, and oral health concerns for children and adults, with facts about surgical, orthodontic, and cosmetic dental procedures, and diseases of the mouth and jaw. Section 10.1—What Is a Cavity? Section 44.4—What Causes Taste Disorders?